Our goal is to build and improve the Midwest’s transportation infrastructure by taking on projects that make a difference. 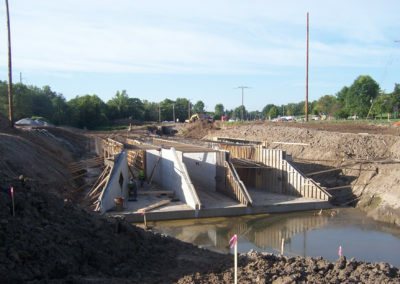 This project includes bridge rehabilitations in various locations in the St. Louis District as well as bridge rehabilitations on Salt River Road in St. Charles County. The project owner is the Missouri Department of Transportation. The project includes the bridge replacement over North Fork Middle Fabius River near Lancaster. The project owner is the Missouri Department of Transportation. The project consists of the replacement of a bridge near Fairfax in Atchison County. The project owner is the Missouri Department of Transportation. The project consists of the rehabilitation of a bridge over the Mississippi River. The project owner is the Missouri Department of Transportation. The project includes the replacement of one existing bridge structure and construction of the roadway approaches on Highway 264. The project owner is the Arkansas Department of Transportation. The project includes the replacement of the existing bridge structure on Highway 75 with a reinforced concrete box culvert in Cross County. The project owner is the Arkansas Department of Transportation. The project consists of a bridge replacement on Route 124 over Grindstone Creek. The project owner is the Missouri Department of Transportation. The work includes slide repair along Route 100, just east of Chamois, Missouri. The project owner is the Missouri Department of Transportation. The project includes the rehabilitation of two bridges on I-44 over Kearney Street in Springfield, Missouri. The project owner is the Missouri Department of Transportation. 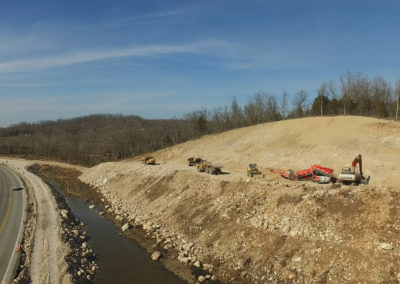 The work consists of a bridge replacement on Route V over Marais Des Cygnes River and a bridge deck replacement on Route V over Pecan Creek in Bates County, Missouri. The project owner is the Missouri Department of Transportation. 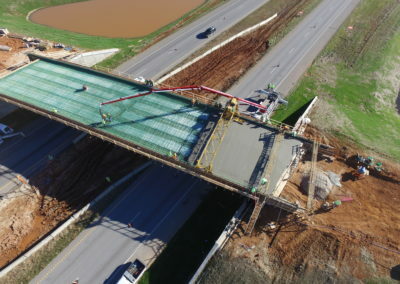 The project includes the replacement of both east and westbound bridges on I-70 over Route E and a bridge replacement on Route H over I-70 in Lafayette County, Missouri. The project owner is the Missouri Department of Transportation. The project includes two bridge replacements – one on Route T over Little Beaver Creek in Douglas County and another on Route H over Beaver Creek in Wright County. The proejct owner is the Missouri Department of Transportation. 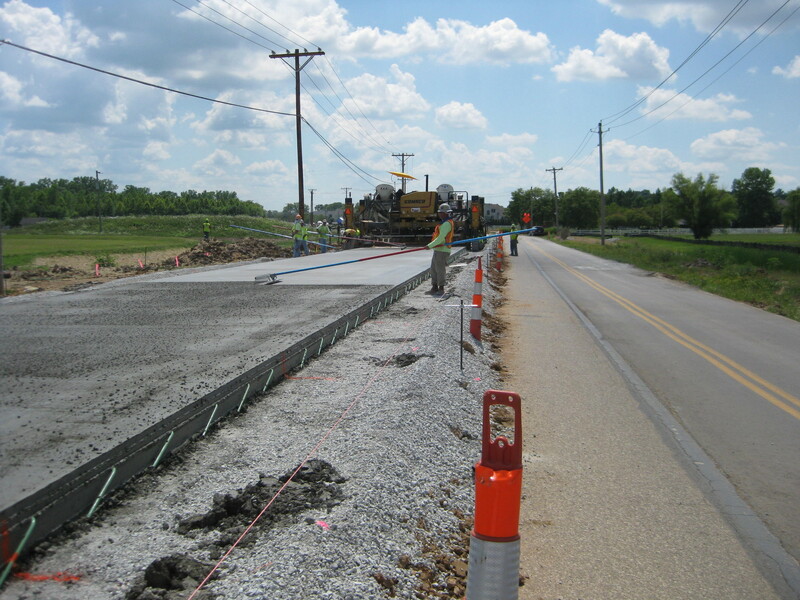 The work includes earthwork, replacement of a W-beam bridge and approaches on approximately 0.14 miles of Route 1785 in Benton County, Arkansas. The project owner is the Arkansas Department of Transportation. The project consists of construction work on 15 bridges across 15 miles of Route 470 from Blue Ridge Blvd. to I-70 in Jackson County, Missouri. Of the 15 bridges, 2 bridges will include a complete re-deck, 5 bridges will include a low-slump overlay, and the remaining 8 bridges will include rehabilitation’s. The project owner is the Missouri Department of Transportation. The project includes slide repair work on Route 17, north of I-44, and on Route F, west of Business Route 44 in Pulaski County, Missouri. The total length of repairs for these projects total 0.699 miles. The project owner is the Missouri Department of Transportation. The project consists of earthwork and a bridge replacement over Route 50/63 near Taos, Missouri; the total length of improvement being 0.103 miles. The project owner is the Missouri Department of Transportation. The project consists of the extension of Cook Road, installation of reinforced concrete box, and realignment of Blacksnake Creek Channel. The project owner is the City of St. Joseph, Missouri. The work on this project incldues the replacement of a truss bridge with a new 3-span concrete girder bridge on Route 32 over Cedar Creek, east of Caledonia in Washington County, Missouri. The project owner is the Missouri Department of Transportation. The project consists of a bridge redeck and ADA improvements on Bannister Road over Route 350 in Lee’s Summit in Jackson County, Missouri. The project owner is the Missouri Department of Transportation. The work on this project includes the rehabilitation of 21 bridges from Route Z in Pevely, Missouri to Plattin Creek along Route 55, the total length of improvement being 8.105 miles. The project owner is the Missouri Department of Transportation. 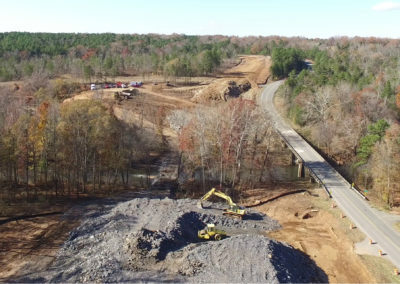 The project includes the construction of roadway approaches and the replacement of a composite W-beam bridge on County Road 35 in Washington County, Arkansas. The project owner is the Arkansas Department of Transportation. 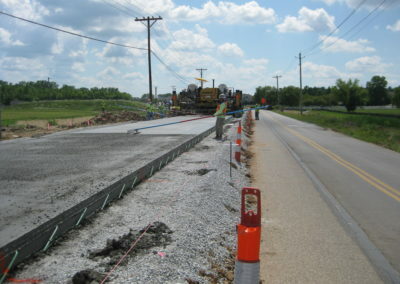 The work on the project includes slide repair on Route 224 between Broadway Avenue and Highland Avenue in Lafayette County, Missouri and slide repair on Route T between Park Avenue and Frazier Street in Ray County, Missouri. The project owner is the Missouri Department of Transportation. 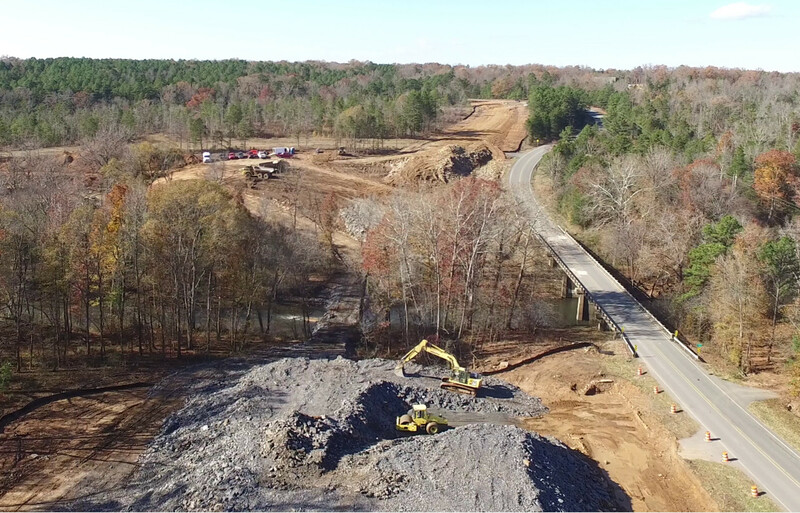 The work consists of earthwork, a 3-span, structural steel bridge replacement, and installation of drainage structures on Route 124 over Cadron Creek in Van Buren County, Arkansas. 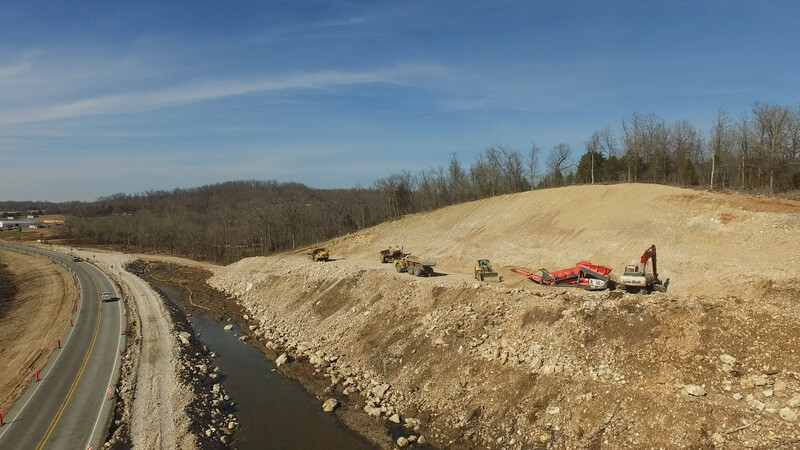 The earthwork includes the placement of 32,000 cubic yards of rock fill and 81,000 cubic yards of compacted embankment with an adjacent borrow site utilized to produce the rock fill. The project owner is the Arkansas Department of Transportation. 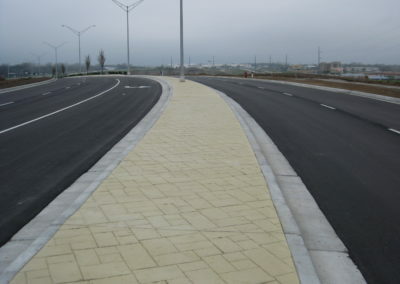 The work includes earthwork, concrete paving and box culvert construction in order to reconstruct and widen Route N from Eagle Hill Lane to Weiss Road in St. Charles, Missouri. The project owner is the Missouri Department of Transportation. The project includes roadway improvements and a concrete NU-girder bridge replacement over Route 44 in the City of St. Louis. The proejct owner is the Missouri Department of Transportation. The work consists of constructing pedestrian bridges and bicycle paths at 3rd Street and Minnesota Avenue in the City of Kansas City for the Kaw Point Connector at the confluence of the Kansas and Missouri Rivers. The project owner is the Kansas Department of Transportation. The project consists of the removal and replacement of pavement to reconstruct the Air Carrier Apron, the South Apron and the T-Hangar taxi lanes for the Kirksville Regional Airport. The project owner was the City of Kirksville. The project consists of roadway excavation and sanitary sewer installation along Route 63 in Fulton County, Arkansas; the total length of improvement being 3 miles. The project owner is the Arkansas Department of Transportation. 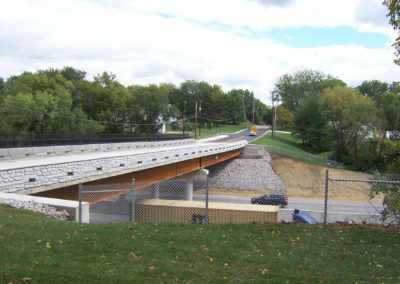 The design-build project consists of the construction of 3 new bridges along Route 60 in Rogersville, Missouri. The project owner is the Missouri Department of Transportation. 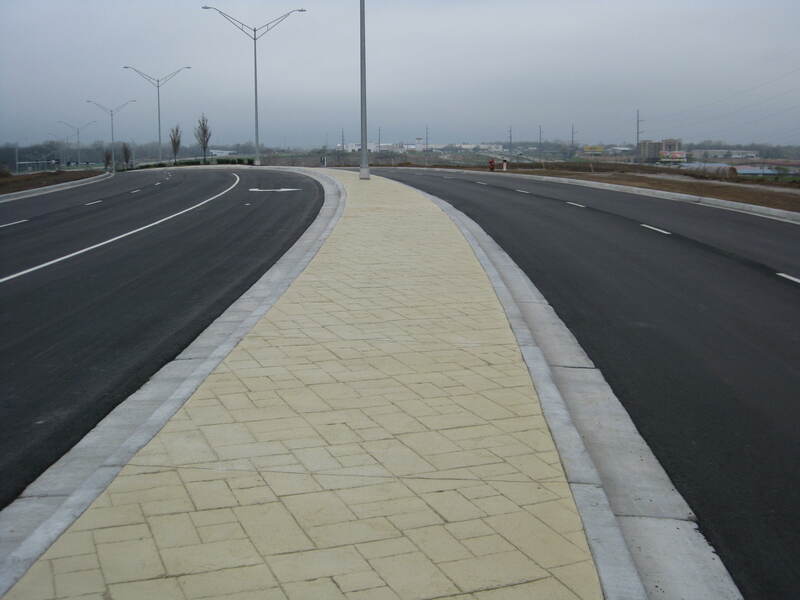 The work on this project includes the construction of 2,400 linear feet of a 4-lane, divided arterial roadway and 950 linear feet of a 3-lane roadway with bike lanes on Markey Parkway and Towne Center Drive. It also includes approximately 70,000 cubic yards of earth and borrow excavation; significant lengths of 15-inch public sanitarysewer, storm sewer, and 3,800 feet of 12- and 16-inch waterlines; and an 11 foot x 11 foot double box culvert. The project owner is the City of Belton, Missouri. 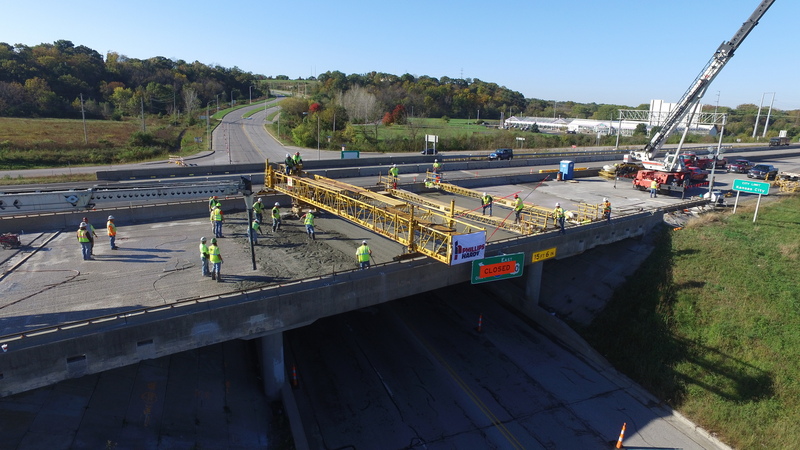 The project consists of grading, surfacing, and a replacement of a bridge on Gibbs Road over I-635 in Bonner Springs, Kansas. The project owner is the Kansas Department of Transportation. 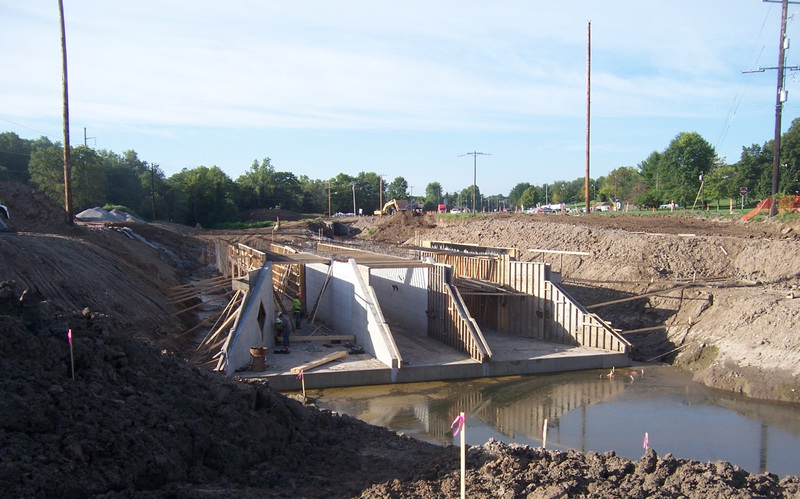 The work on this project consists of new bridge construction on Route 534 over I-29 in Glenwood, Iowa. The project owner is the Iowa Department of Transportation. 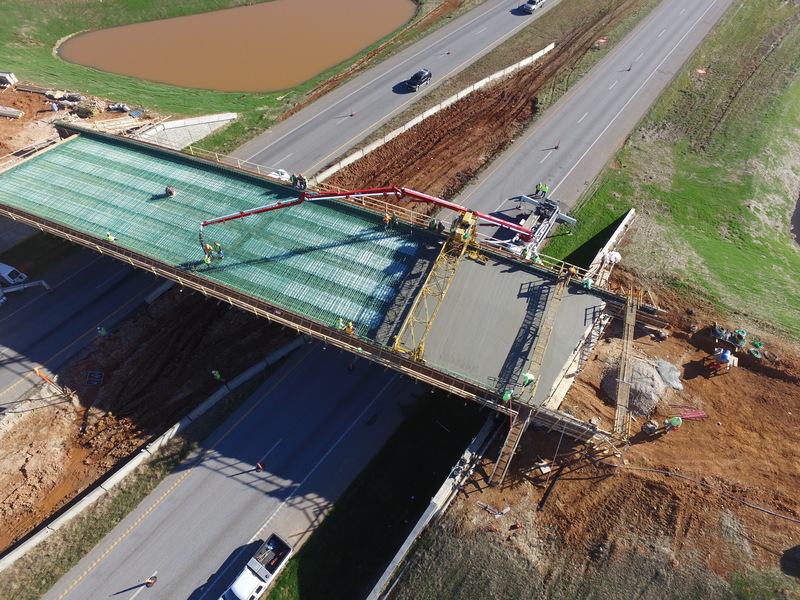 The project includes the construction of a new 880-foot, 11-span flyover precast concrete I-girder and bulb tee girder bridge on a new alignment of Flintlock Road which crossed I-35, Little Shoal Creek, and several drainage ditches. 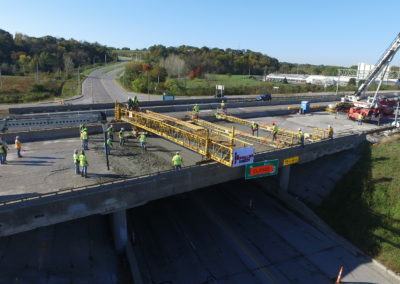 The construction of the project also includes 42,600 cubic yards of unclassified excavation and 51,600 cubic yards of embankment in place; two roundabouts; 24,400 square yards of a 9-inch concrete concrete; and a cast-in-place double barrel box culvert. The project owner is the Missouri Department of Transportation. 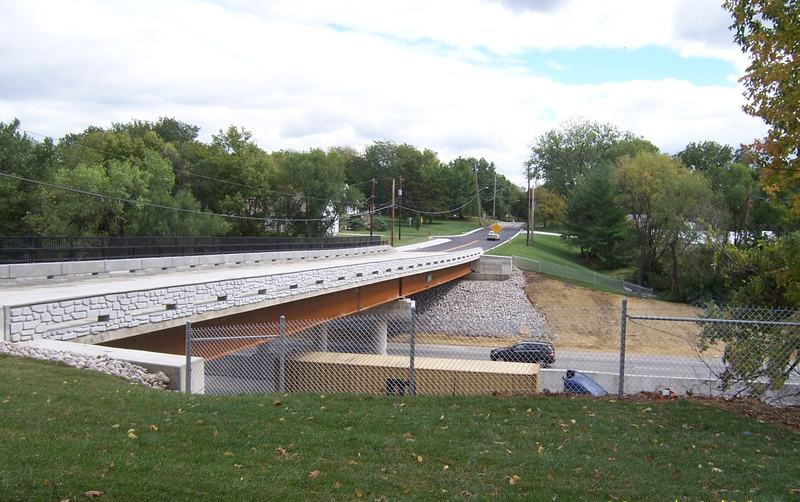 The KTU Safe and Sound Bridges was a design-build bridge replacement pilot project implemented by Missouri Department of Transportation for which Phillips Hardy Inc. was a subcontractor to KTU Constructors. As a result of this successful joint-venture, Phillips Hardy Inc. was able to diversify into bridge construction by building nearly 100 of the 554 bridges in the project. We know how to strategically move our heavy equipment to lay the groundwork for a project, whether it is large or small. Our inventory of complete earthmoving spreads gives us the ability to move 25,000 cubic yards of earth per day.